During the last weeks, the topic lignite-based power generation and climate change has been a national and international issue. Here in the forest grew the popularity and support for the forest occupation. More and more people are choosing to become more active and move in here. External support is also steadily increasing. People bring food, materials and water, enabling the growing number of activists to be here permanently. The RWE-group, which emits 223836 tons of CO₂ every day, is severely disturbed by the actions of (small) groups in its work. Various (blockade) actions resulted in empirical values about their effectiveness. RWE operates over 2,000 pumps in the Rhenish mining district to reduce the groundwater level. It is known that from the side of the Hambach Forest, RWE has got problems with water ingresses in the open pit. This stems in part from the fact that in the forest itself no pumping stations could be built (is possibly changing at the moment). They characterize the landscapes around the open pit, on fields, in forests, along the roadsides. They are usually recognizable by pipes and power distribution boxes. In order to clear the forest, clearing machines enter the forest by certain access roads during the deforesting weeks. In the last couple of years, they had to be rerouted often, because at the same time people had breakfast on the roads, which was even approved by the police. During the last years several excavators were occupied. In some cases hat took several days, because the police did not have enough climbing units available. It has been shown that a permanent blockade of the open pit is necessary to stop the coal supply to the power plants. From there, the power plants are supplied with coal. The extracted coal from the opencast mine is initially stored in the bunker and then delivered to the power plants via the Hambach Railway. Without the supply by the coal bunker in the open pit, a performance reduction can be achieved within a few hours! The Hambach Railway is the largest private railway in Germany. If the coal can be loaded from the coal bunker, this so called Hambachbahn runs every 10 minutes 24/7, 365 days a year to the power plants. The Hambach Railway is powered from two points, both of which are near the coal bunkers. The power plants Niederaußen and Frimmersdorf are supplied with coal from two sides (Hambach and Garzweiler)! During the last years there have been different types of actions. By means of a 24-hour blockade in phases, a throttling of the power plant was achieved, which was even reflected in the balance sheet of the Group. The RWE structures mentioned in points 1-6 are all powered by electricity. The Hambach Railway was moved to the south to make room for the opencast mine. Since then, the number of access roads to the forest has decreased. With vehicles in large numbers it is easily accessible only a few points. From some observations in the last 24 hours, we conclude that RWE is preparing for a major police operation. Opinions differ as to whether they plan to create facts before the verdict is pronounced, but it is certain that they want to be ready to start swiftly after the verdict is pronounced. We expect Monday, but Saturday would be possible too. In the past every day including Sunday was cleared, so a start on Saturday would be imaginable. Get ready to join us. As soon as we know more, we’ll let you know. And come on Friday at 10 clock to the Verwaltungsgericht (Administrative Court) in Cologne (Appellhofplatz) to accompany the verdict! 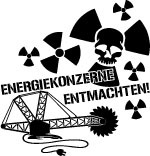 In the trial about the lignite mine Hambach on Tuesday (Nov. 21th,2017) a settlement failed. The Verwaltungsgericht (Administrative Court) of Cologne had proposed to continue the open pit without felling the forest. The judges expected a coal exit in the foreseeable future. RWE and a representative of the Land North Rhine-Westphalia stated that this would not be feasible. The BUND as plaintiff, however, supported the settlement. Another proposal by the court, to postpone the extraction limits of the opencast mine and to save the forest from digging, was rejected. 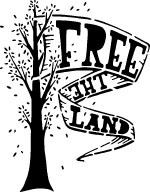 By contrast, the BUND (Federation of Environment and Nature Conservation Germany) as a plaintiff could imagine a settlement in which the old Hambach Forest would be left out. Until Friday (24.11.2017) there will now be a judgment. On Tuesday morning, about 100 opponents and supporters of the opencast mine demonstrated before the start of the trial in front of the Cologne administrative court. Several environmental groups had announced protests for the preservation of the Hambach forest. Between 2020 and 2030 almost all trees are to be cut, in order to advance the open-pit mine as planned shortly before the village of Buir. “Then we’ll look directly into a 440 meter deep hole, where almost the entire city of Cologne fits in and that is so unimaginable crazy, well that’s just terrible,” a 50-year-old man says. With his citizens’ group “Buirers for Buir”, Andreas Büttgen supports two new claims of the BUND. He wants to save the Hambach Forest and thus stop the open pit. Judgment on Friday 11/24 at 10 o’clock, Verwaltungsgericht Köln. The mood is tense. 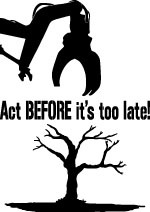 If RWE wants to enforce the planned clearing, they would have to destroy most tree houses. At the same time we are more than ever, louder than ever and more diverse than ever. 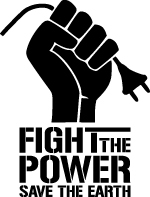 This is our chance to prevent the clear-cutting, and thus set a clear sign against lignite mining and exploitation and for climate justice and non-hierarchical resistance. We have to be many for that! and stay up to date by means of the blog. But what to do when the SMS arrives? This text helps to prepare you for eviction in the Hambach Forest, so that we can prevent it together! For almost all options, it is helpful to have an affinity group. 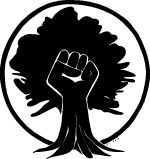 It would be ideal if you organize yourself in your city with people to support the forest occupation together. There are already many groups working on climate justice, such as the local groups of Ende Gelände.